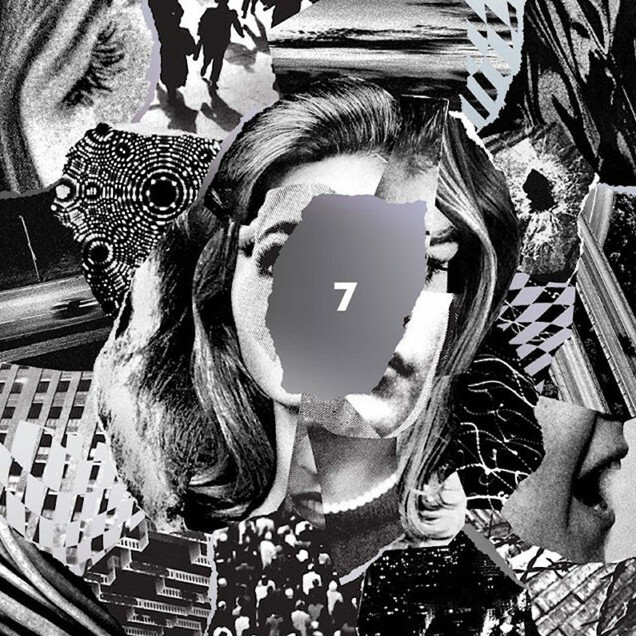 The title for Beach House’s new album, 7, might seem uninspired at first. Typically when established bands start numbering their records, it’s symptomatic of a mid-career slump. However, like with all of this band’s output, a closer look reveals hidden meaning, like a mist of cynicism and doubt slowly dissipating under a morning sun. Seven is a mystical number: in numerology, it represents the seeker, the revelator, the key to all truths. But also, in this context, 7 is simply the time it took Beach House to perfect their signature brand of dreampop, the sum of every guitar flutter and drum snare that brought them to the culmination of their sound. Because 7 is just that- not only is it Beach House’s most cohesive album to date, but it’s the perfect balance of the sweetness, heat, subtlety and intoxication that have made them one of the most revered indie bands of their generation. But of course, comparing Beach House records is an ultimately futile task: since their self-titled debut way back in 2006, they’ve been slowly and consistently tweaking their heady, psyched-out sound, like a master chef refining his star recipe. It’s been an enthralling high-wire act, where one single misstep could have toppled their legacy. Vocalist and keyboardist Victoria Legrand can shift expertly from ethereal whispers to a deep, lulling alto, adapting her voice almost imperceptibly to the mood. Guitarist Alex Scally, meanwhile, helps to create the world in which Legrand’s voice can flourish, a vortex of texture and space. They teeter on pop but always pull back, reeling you in for more, a hook that juts its head out of the fog before retreating. It’s extremely difficult to forge such similar-sounding records without succumbing to boredom, and this is where 7 excels – familiar enough to not diverge from their cannon, but different enough to set itself apart as a new watermark for their talent. One of the reasons for this is Beach House’s new collaboration with Sonic Boom, a.k.a. Peter Kember, the legendary experimental rock producer and founding member of Spacemen 3 (along with Jason Pierce, who went on to start Spiritualized). While Beach House created their sound with help of their longtime producer Chris Coady, the addition of Kember gives 7 an edge that wasn’t present in their last few albums. The album’s opener, lead track “Dark Spring” is a perfect example of this – a chugging keyboard drone coasts through the song, which Legrand skips along with her lilting vocals. All the while, sharp drum foils punctuate the mix, giving “Dark Spring” a jolting dose of dynamism. It’s a little bit My Bloody Valentine, a little bit Stereolab, and a whole lot of Beach House, and it aptly sets the tone for the rest of the album. “Dark Spring” segues into “Pay No Mind” which, while owing a considerable debt to Mazzy Star, demonstrates how brilliantly Beach House are able to switch tones without losing the thread of the record. Subdued almost to the point of slumber, “Pay No Mind” is built upon slick, alt-country guitars and Legrand’s repeating the chorus, in a low coo: “Baby at night when I look at you/Nothing in this world keeps me confused/All it takes, look in your eyes.” Evocative of a ’90s alt-rock ballad without resorting to pastiche, “Pay No Mind” is 7’s deepest valley, and its lushness also helps balance the album’s more layered, psychedelic moments. It seems like 7 pulls inspiration from a more diverse palette than we’re used to from Beach House: the instrumentation of another single, “Lemon Glow”, could easily be imagined with lavish R&B vocals over it, like something that could live on Rihanna’s Anti album. A woozy keyboard line circles a slo-mo breakbeat, like a mixtape that’s been left in the sun to melt. “Candy-colored misery/The color of your mind,” sings Legrand, as the track begins to dissolve and distort into static. It’s simply arresting, and gives the record a sense of modernity that stops it from going too retro. But where all of these qualities gel together is “Dive”, 7’s crown jewel and maybe one of the best Beach House tracks so far, of any of their records. Beginning with a heartbeat kick drum and organ-like keys, it’s a particularly heavenly respite to the denser aspects of the album. That is, until exactly the middle of its 4:25 runtime, and a pulsing bassline is catapulted into the forefront, as galloping drums gatecrash this church and turn it into a rock ‘n’ roll transcendental meditation course. “In eyes, lost in confusion/Golden hearts, left all illusion/Is it my imagination?”, Legrand ponders, until, just as abruptly as they began, everything drops out, the song stops and you’re left with the same sense of wonder.